Who is a Follower of Christ? What did Jesus have in mind when He invited us to follow Him? This may be the most important issue in the central quest of life. 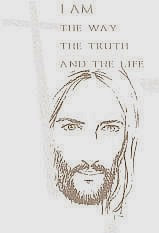 Jesus told the crowds that it is entirely possible to think we are following Him without in fact doing so; in Matthew 7:21 and other passages (e.g. Matthew 19:16ff) Jesus makes clear that it's not we who define what it means to follow, but He. This means it is not simply those who call themselves "Christians" who are, or those who call themselves "born again"(while the term is powerfully meaningful in John 3, it has come in some times to be overused extending to 'born again' antiques, businesses or marriages; all of which are good but less than Jesus intends. It is not simply those who "believe" something about God, Jesus or the Bible (it's instructive that even demons 'believe' in the sense of perceiving some essential realities accurately (James 2:19), or even those who keep detailed lists of 'dos and don'ts' (such as the religious leaders Jesus addresses in Luke 11:37ff ). The point in doing so it to get to know Him, to come to be rooted in Him, to become as dependent on Him as are leaves on a branch or fruit on the sap and sunshine (John 15). Following Christ is our response to a great love from God-in-Christ, a love beyond words or human expression; a love seen in part on the Cross where His life was exchanged for ours. It's a love for Christ which is exclusive, requiring - as is God's love - utter faithfulness (cf. Hosea) which cannot be compromised in the dance in which we follow. The adventure begins with us turning from following our own lead to following His lead. This involves 'dying to ourselves' in placing Christ in the centre of our lives as Lord. Jesus calls this in the language of the New Testament 'metanoeō' (e.g. Luke 13:5) which means to literally "to turn, to think differently, to change one's mind" - often translated as "repentance." This "turning" is the first step in the journey. But it is a decision to turn which those who follow Christ also make repeatedly in life, sometimes multiple times a day. The first time we turn to Christ is often called "conversion." John the Baptist spoke of this turning in radical terms in Matthew 3. I believe Dietrich Bonhoeffer's reflections on discipleship are among the more helpful of which I'm aware, in understanding this radical about-face. The many subsequent steps of turning are those in which we follow Jesus' lead in love in every relationship we engage, each hour we are given, and every circumstance in which we find ourselves. It is a mystical walk (John 3:1-21) and a practical one (James 1:22-27). We renew ourselves in this, daily, in relationship with Him. Following Christ is a walk in which "His sheep follow him because they know His voice" (John 10: 4ff). Discerning Christ's voice is a sensitivity which grows with daily meditation on the Scriptures, especially the Gospels, time, the willingness to be still and listen, be obedient and to take risks doing so. It is the adventure of a lifetime - and of eternity. There is no other life so worth living.